Rick Ross is currently gearing up to release his new Mastermind LP which is due to hit shelves on December 17. In the mean time, the MMG head honcho is living life out on the road as he tours in support of the project. 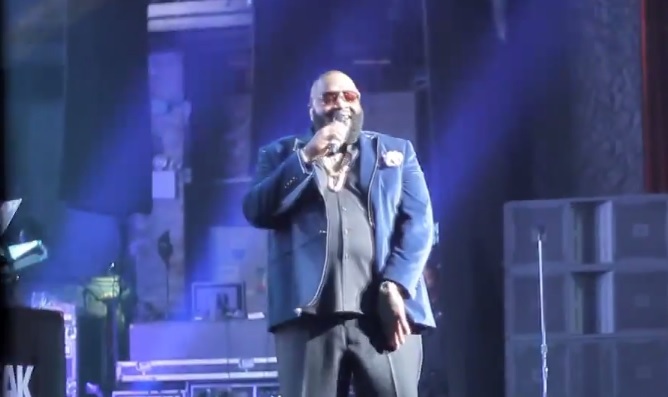 Backed by 1500 or Nothin’, take a look as the Miami boss recently performed his verse from JAY Z’s “FuckWithMeYouKnowIGotIt” live for fans in New York. This entry was posted in Live Performance, Video and tagged 1500 or nothin, concert, fuckwithmeyouknowigotit, hip hop, live performance, MMG, new york, rap, Rick ross. Bookmark the permalink.